Australia Rugby launched a campaign called "Get Onside" to help combat corruption in professional Rugby Union. They chose to utilise a custom inflatable bungee run to stimulate attention and interest, while also having fun. 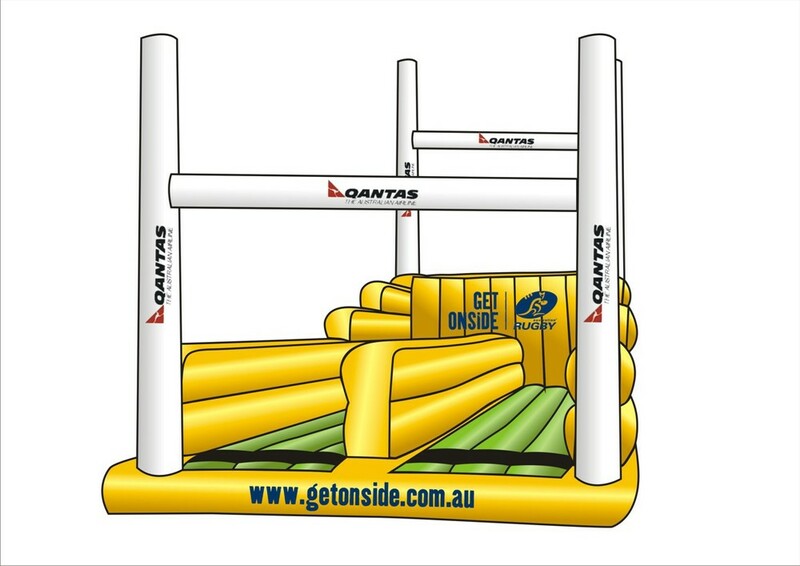 Inflatable Factory built a bespoke inflatable design to help Australian Rugby with a successful campaign. We've done it all before. We'd love to do it all again, with you.